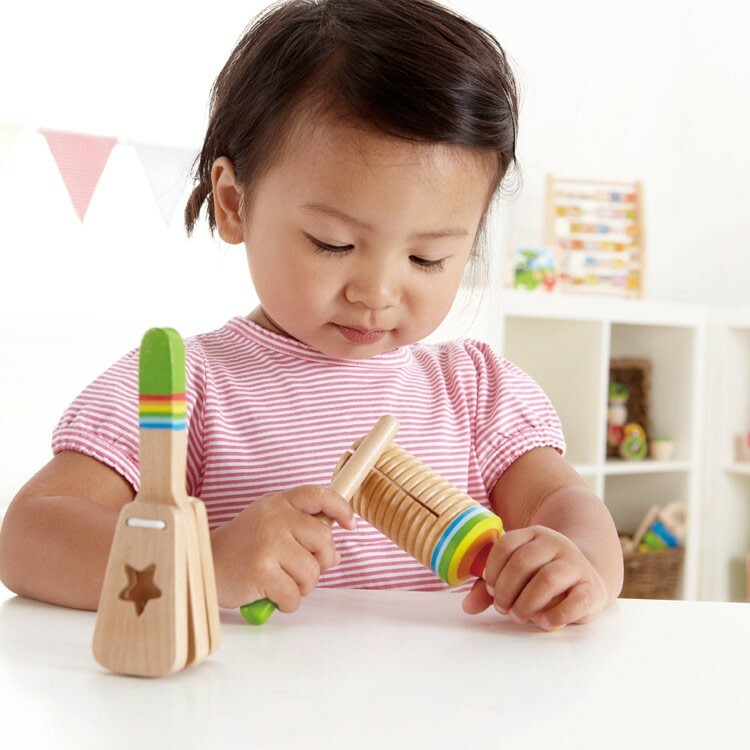 Tap, shake, slide, make musical noise with this bestselling Hape Rhythm Wooden Instruments Set for Toddlers. 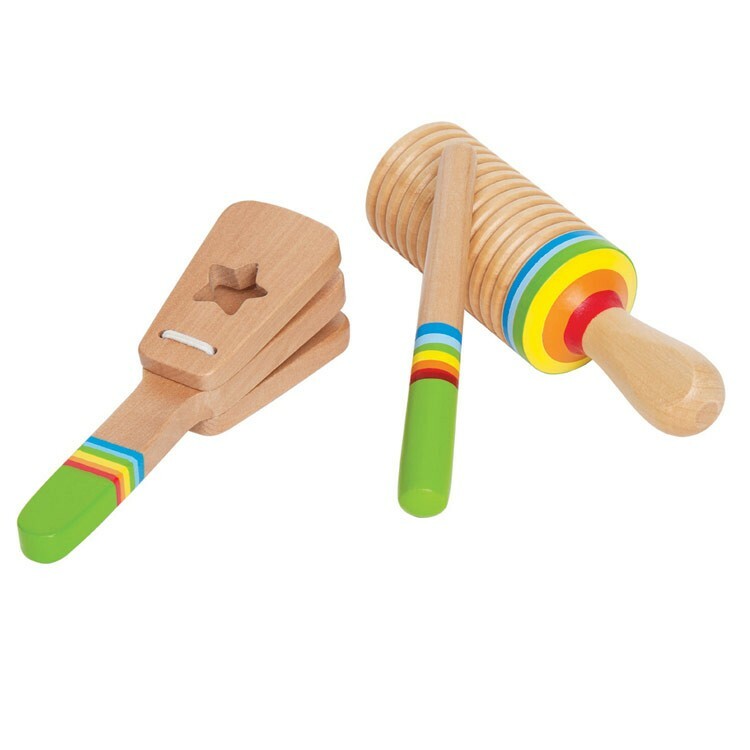 Tap, shake, slide, make musical noise! 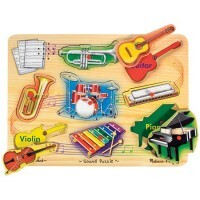 Musical fun for your tots is guaranteed with this Hape's set of fist musical instruments. 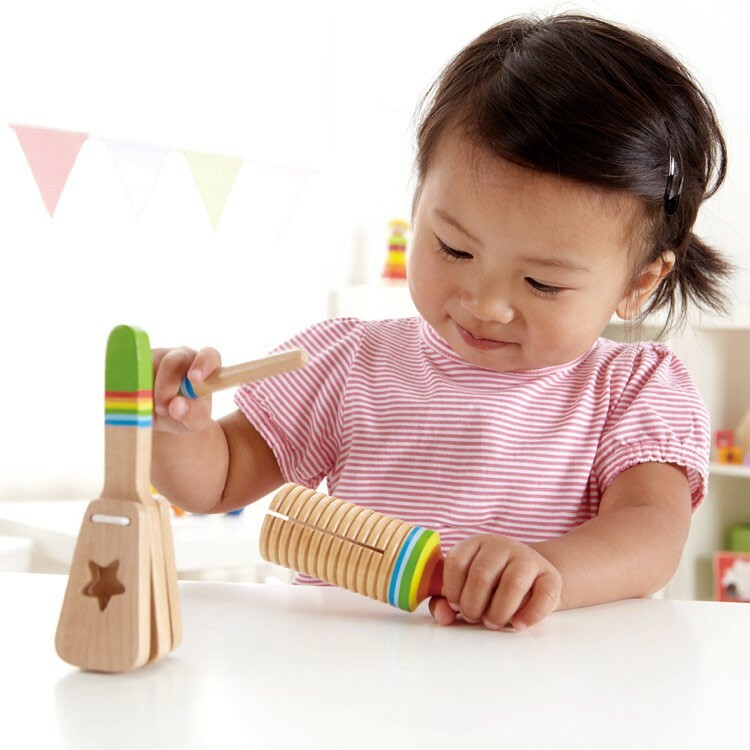 Rhythm Wooden Instruments Set for Toddlers features 3 wooden easy-to-use noise makers, sized perfect for the little hands. 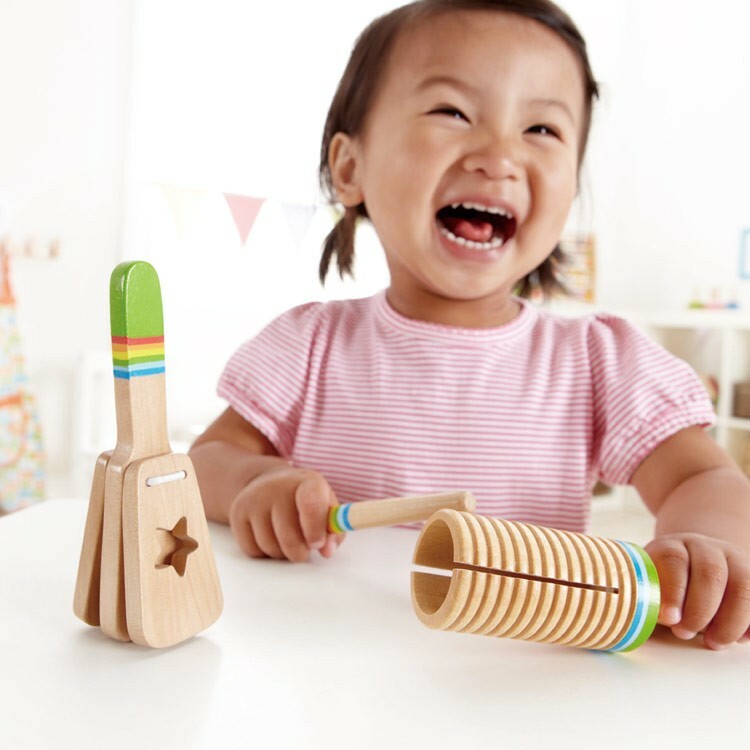 This musical toy set includes 2 classic percussion instruments - a clapper and a guiro - plus a wooden stick to slide on the ribbed side of the toy guiro. 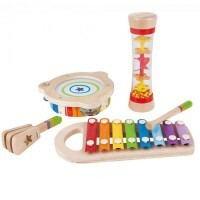 The wooden toy guiro from this toddler musical set has the plastic beads that are safely secured inside to make fascinating rhythms. 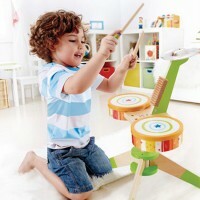 Rhythm Wooden Instruments Set for Toddlers features Hape's famous quality and safety features. 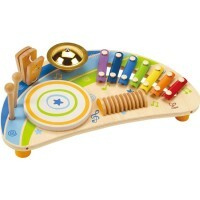 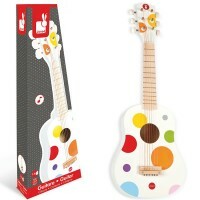 The musical instruments toys are made with solid wood and finished with the child safe paint. 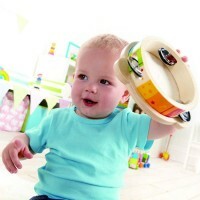 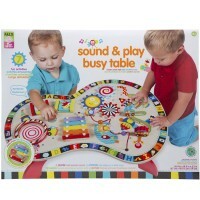 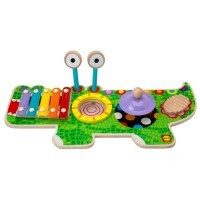 Develop senses, bring musical fun and encourage creative play with the rhythm musical set from Educational Toys Planet. 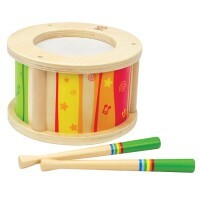 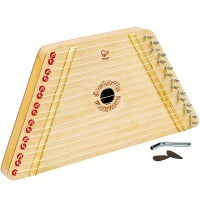 Dimensions of package 1.6" x 1.6" x 5.1"
Write your own review of Rhythm Wooden Instruments Set for Toddlers.